So for those loyal readers tuning in for the regular View From Section U feature usually run on Wednesdays, this isn’t it. I have lots of ideas for View From Section U material and plan to write the weekly column mostly regularly during the offseason while I can think of something to write about, but nothing tonight. Tonight I’m focused on watching Jon Quick potentially sweep the Vancouver Canucks out of the playoffs. I’d write tomorrow but I’ll be busy watching the Bruins. So no weekly column this week. I already have a topic for next week however. While I have been writing View From Section U on Wednesdays, likely going forward I’ll try to update the blog on Mondays and Thursdays, though I’ll post whenever there is major news like new recruits or that sort of thing. So continue to check back regularly. There are a few things I’d like to pass along however. First Mike Marcou has been released from his Amateur Tryout Agreement from the Oklahoma City Barons of the AHL. With their parent team, the Oilers, of course out of the playoffs (and somehow winning the draft lottery again) and sending all their available players down for the AHL playoffs, this isn’t a surprise. I would guess Marcou is back in Amherst finishing off his degree. Regardless, I’m sure he’ll have no problem getting a pro contract somewhere next fall. It seems that Marcou made a positive impression in his only two games in OKC as Neal Livingston, who blogs about the Barons, had a lot of positive things to say about him on Twitter. Bruce Landon the GM of the Springfield Falcons had some nice praise for the work of Paul Dainton this past season. For some reason it just hit me that when UMass and Bemidji State meet in the Ledyard Bank Classic at Dartmouth in December it’ll mean David Boehm will be facing his former team. Boehm didn’t exactly leave the school or his teammates on the best of circumstances so that’ll make for an interesting side story. Of course next year’s seniors Rocco Carzo, Kevin Czepiel, Eddie Olczyk, and Darren Rowe are the only current players who played with him. UMass goaltending coach Mike Buckley was mentioned in this article regarding his contributions to a local girls under 12 team winning the national championship. With the hockey stuff out the way I just want to send a sticktap towards some other UMass teams. The Gorillas of UMass lacrosse are sharing the top ranking in the country with Loyola, the highest ranking ever for the dominant New England lacrosse program. I’m very psyched to see them play in UMass football’s future home, Gillette Stadium, this weekend. Secondly, congrats to UMass baseball which is enjoying a resurgence right now and won the baseball Beanpot tonight with a win over Harvard. At the same time women’s lacrosse, led by the nation’s leading scorer in Katie Ferris, is currently ranked #9 in the country. What a great spring season for the Minutemen and Minutewomen around campus. 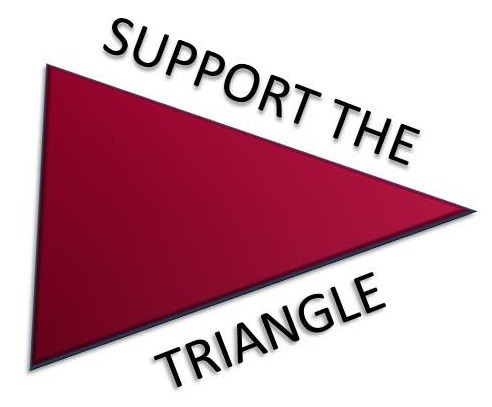 Lastly, I’ve taken the time to make sure everything is up to date here at Fear The Triangle. The recruiting page reflects all known commitments. I’ve updated the Road Trip page with all my various recommendations, with the Maine entry getting the most additions after an enjoyable trip to Orono this past season. The Beer The Triangle page chronicling my homebrewing hobby is reflective of my latest brews. Even the rinks on the About page shows every significant place I’ve ever watched hockey.